Elevate Audiology is an independent private practice in Easley, SC. Our goal is simple: to educate and serve those needing excellent hearing and tinnitus care. It is all about you and your specific needs. We want to get to know you and your family to understand how we can be your best resource for better hearing and improved quality of life. We hear you through all the noise. Hearing and communication difficulties are now known to effect your overall health including social, emotional, and physical ways. These affect those in your family and social circle, as well. We want you to feel as safe, confident, and successful as possible in your hearing and communication abilities. At Elevate Audiology, we understand there is a lot of information and often confusion about your options for better hearing. We take our role in your journey to better hearing seriously because you and your family deserve it. You can trust what you hear from us. We offer a variety of service plans and technology levels to meet the different lifestyles and financial needs of our community without sacrificing quality care. We greatly value our role in the Upstate of South Carolina and are available as a resource to serve and educate. Elevate Audiology- Hearing and Tinnitus Center is an independent private practice in Easley, SC (29642). We on a mission to educate and empower patients to make the best decisions for their hearing, communication, overall health, and quality of life. We believe everyone deserves to hear and there is hope for those struggling with tinnitus. We offer best-practices in diagnostic and treatment services for hearing loss, tinnitus, and hearing protection. Contact us today to start the journey to hearing wellness for you or a loved one. We hear you through all the noise. How I Found Audiology and Why I Love It! 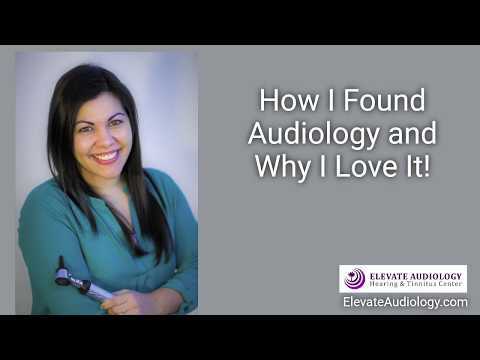 Learn about how Dr. Alexandra Tarvin, Board Certified Audiologist of Elevate Audiology- Hearing and Tinnitus Center in Easley, SC 29642, found audiology, why it means so much to her, and why it continues to drive her to be the best she can be for her patients and the audiology community. 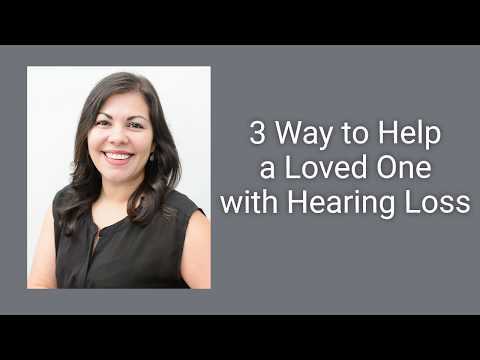 Learn about 3 easy ways to help a loved one with hearing loss. Hear Dr. Alexandra Tarvin with Elevate Audiology - Hearing and Tinnitus Center in Easley, SC 29642 explain in this video. What is the difference between a bundled and an unbundled service model? Dr. Alexandra Tarvin from Elevate Audiology- Hearing and Tinnitus Center provides a quick explanation in this video. What actually is hearing loss? What is effected and how is it categorized. Dr. Alexandra Tarvin, Audiologist of Elevate Audiology- Hearing and Tinnitus Center in Easley, South Carolina 29642 gives a brief summary of hearing loss.